The Indian young adult fans have a new reason to celebrate this month. One of the bestselling and most favorite Indian author, Sudeep Nagarkar, is all set to release his new book – She Friend-Zoned My Love. The release date of Sudeep’s latest book is 25 April 2018. Ready to know all about She Friend-Zoned My Love by Sudeep Nagarkar? Find out everything in our pre-release review of the book. 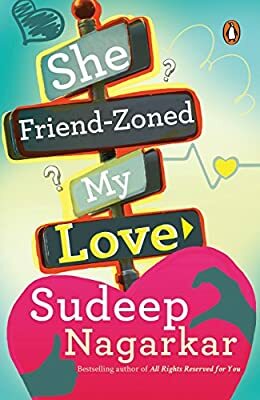 Sudeep’s new book, She Friendzoned My Love, is 9th novel by him after the very successful novel, Our Story Needs No Filter (2017). This year, Sudeep is again showcasing a love story which most of the youth can relate with. The story features a young age boy Apurv who is an absolute charmer. And, like all other boys, he longs for a girlfriend in his life but haven’t found the right girl yet. Somewhere in the same town, there is Amyra. She is beautiful and popular, leading a perfect life. Most of the boys in town desire for her while the girls want to be friends with her. Though, more details about the characters of She Friendzoned My Love by Sudeep Nagarkar will be available as soon as the book releases. But, we have seen in the previous novels by Sudeep that the characters are totally relatable to the current generation. The love story of Apruv and Amyra begins when they meet each other at the college canteen just by chance. Soon, Apurv falls for her but Amyra wouldn’t reciprocate the feelings the way he wants. Now, as the story progresses, Amyra friendzones Apurv’s love. Is it too late for Apurv to get out of the friendzone or the power of his love will change Amyra’s feelings towards him? That’s what the new novel, She Friendzoned My Love is all about! Why should you read She Friendzoned My Love? Sudeep has mastered the art of love stories. If you haven’t yet read any of his novels, you have a great chance to begin with She Friendzoned My Love. Some of you might be wondering, the storyline resembles the popular novel Half Girlfriend by Chetan Bhagat. Well, it is somewhat true but the final verdict will be given only after reading the book. Go ahead and get your copy of She Friendzoned My Love by Sudeep Nagarkar on Amazon now! Sudeep Nagarkar was born in 1988 in Mumbai and studied engineering at DM College of Engineering. 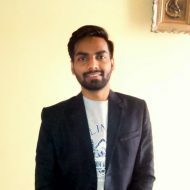 After completing MBA, he started working at an IT firm. He released his first novel Few Things Left Unsaid in 2011 followed by That’s the Way We Met in the next year. After the second release, he turned to a full-time author despite the opposition from his family. It took him no time to rise to the platform of a bestselling author. And Our Story Needs No Filter is the latest novel by Sudeep Nagarkar.